Your Patients Hate to Wait. On average, the U.S. consumer waits 7 minutes to get a cup of coffee, 15 minutes for a table at a restaurant, and 32 minutes for the doctor. But they don’t like it! Your WaitingRoom App content is always fresh and gives a positive impression of your facility. 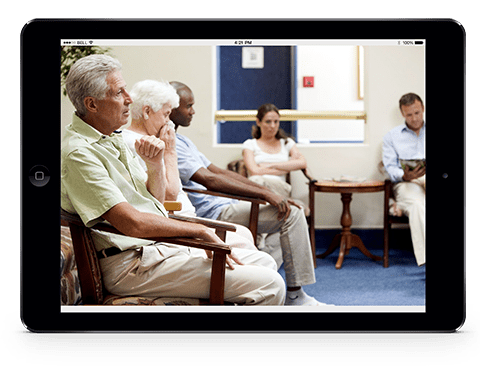 Your WaitingRoom App is an affordable, time-efficient way to obtain a customized waiting room app for your organization.